The story of the last three quarters has been cost-cutting and productivity enhancements. Firms rapidly slimmed down and increased efficiencies to improve the bottom line. Yet, sustaining earnings growth over the long-term is ultimately dependent on selling more widgets. Investors, so far, have punished companies that have not met on revenue expectations even if the bottom line has been impressive. 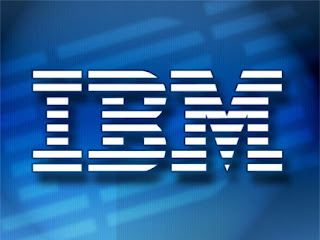 Old Big Blue, International Business Machines (IBM) reported a Q2 earnings per share beat last night of $2.61 versus $2.58 consensus yet a miss on revenues with $23.7 billion versus $24 billion expected. Full year guidance was also a touch light at $11.25 v $11.27e. Immediate focus was on sales and shares of IBM are trading down 4.9% pre-market. Texas Instruments (TXN) followed last night matching estimates on EPS and revenues with $0.62 and $3.5 billion. Even an exactly in-line report has discouraged investors and shares are down 5.4% post-report. Goldman Sachs (GS) followed the trend this morning reporting a huge beat on EPS at $2.75 versus $2.08 expected yet missed on revenues at $8.84 billion versus $8.9 billion expected. Investment banking revenues, typically an excellent reflection of economic activity, dropped 36% year-over-year. Even trading and principal investment revenues dropped at GS 39% YoY. GS is trading down 2.3% this morning. To round out the morning, Bank of New York Mellon (BK) and Johnson & Johnson (JNJ) both beat EPS estimates and missed on revenues. BK and JNJ are trading down 1.4% and 1.7% pre-market, respectively. Pepsi (PEP) is a lone bright spot beating on both EPS and revenues. Investors are rewarding this accomplishment with a huge 0.01% gap up...not much excitement there. While I am encouraged by the ability of firms to continue enhancing productivity, earnings announcements are backward-looking. With a plateauing in the reflation trade off lows occurring over the last two months, the market is seeing a slowdown in global growth. 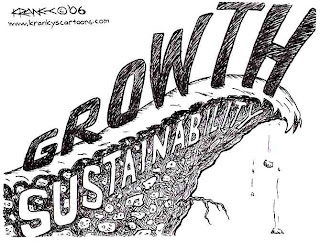 The rate of change on the margin is all that matters in the short-term in financial markets and that rate is slowing. I am staying net short and may press the trade in the coming days. Even gold (GLD) looks like a short. With one of the key themes for owning gold being the hedge on inflation, the month-over-month declines in inflation readings are significantly reducing the need to hedge that risk. I was told recently I am always negative in all of my blog posts. I hope that's not true! Being a short-term trader, I have the opportunity to profit on the short side if I can accurately assess market sentiment changes. Overall, I am very optimistic about the long-term health of this country. I am far from a doom-sayer, rather I am almost too optimistic. I would never bet against this country from a long-dated economic standpoint. The vast majority of my reasons behind thinking short is gauging other participants' reactions to earnings headlines. Companies with bad earnings reports are crushed and good reports are not rewarded. Given that, the first week and half and Q2 earnings season is pointing to lower prices in my mind. Ultimately though, that only offers opportunity to the patient investor as he can pick up great companies on sale. Why go to the store when things are full-priced? Wait for the good stuff to be put on clearance! Disclosure: Short SPY, GLD. Long VXX. Long IWM, SPY puts.